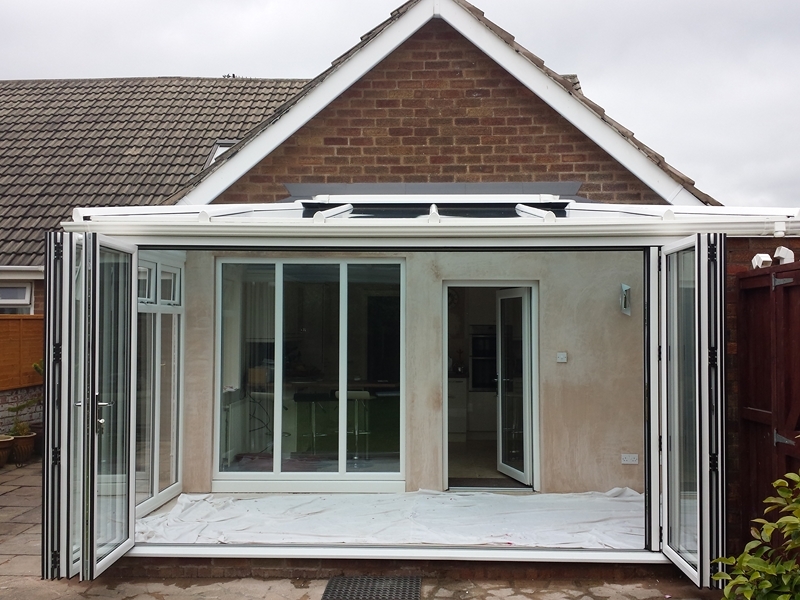 Call 01253 899233 for more information on our Bi-folding Doors. Most PVCu Bi-Folding Doors are made from bulky door profile & include unsightly face-fixed hinges. Timberlook Slimline Bi-Fold Doors are different. We combine high-strength PVCu & Aluminium profiles to achieve the sight lines of aluminium bi-folds with the cost-effectiveness of PVCu. Replicate timber sections with an ovolo profile. Have high-security hardened steel hook locks that prevent the hinge being forced from the door. Have high performance double seals to every door and thermally efficient double glazing with a u value of 1.6. Are available with our exclusive concealed night ventilation. Include encapsulated stainless steel rollers built into the top & bottom tracks to prevent the doors from being lifted out the track. Sightline between glass is 130mm, which is the same as the Smarts 1000 aluminium bi fold. Compliment our range of Timberlook casement windows which can be used to design matching conservatories. Timberlook Bi-Folds are available in the following colours on both sides: Rosewood, Light Oak, Irish Oak, Black, Grey, Polar White, Chartwell Green, Fir Green and Cream Foils.